Madurodam is a theme park showcasing the very best of the Netherlands through miniature displays, exhibits and activities. There are 338 detailed miniatures, 21 interactive things to do, 4 indoor attractions and unlimited opportunities for fun and discovery at Madurodam. 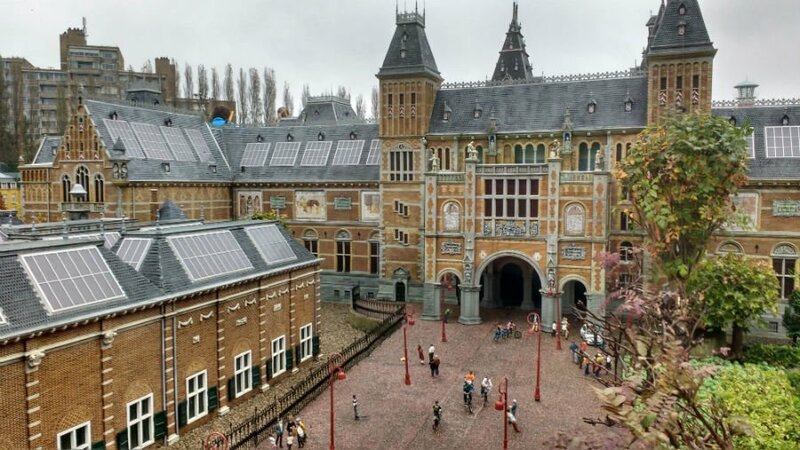 At Madurodam, you can see miniature versions of some of the Netherland’s most famous attractions such as Gouda’s cheese market, Amsterdam’s Rijkmuseum, Schiphol Airport, the tulip fields and the Kinderdijk Windmills in one place, and take part in hands on activities to learn more about the history of this fascinating country. 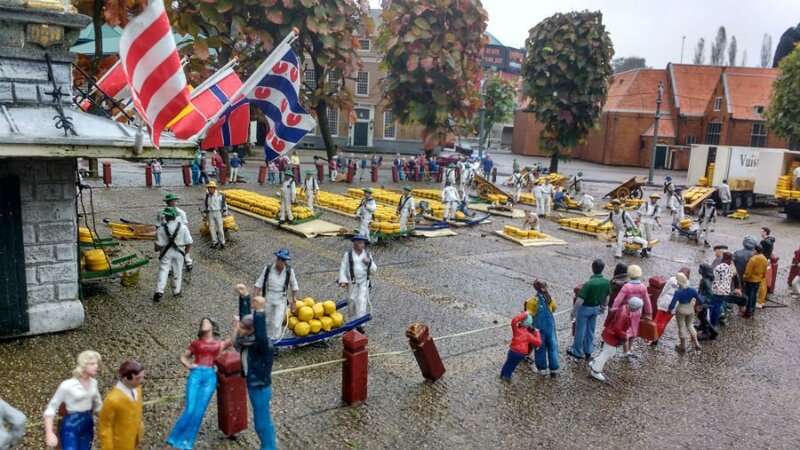 More than just a theme park, Madurodam was built as a living memorial to Second World War hero, George Maduro to honour his heroism, and to also raise money for charity. 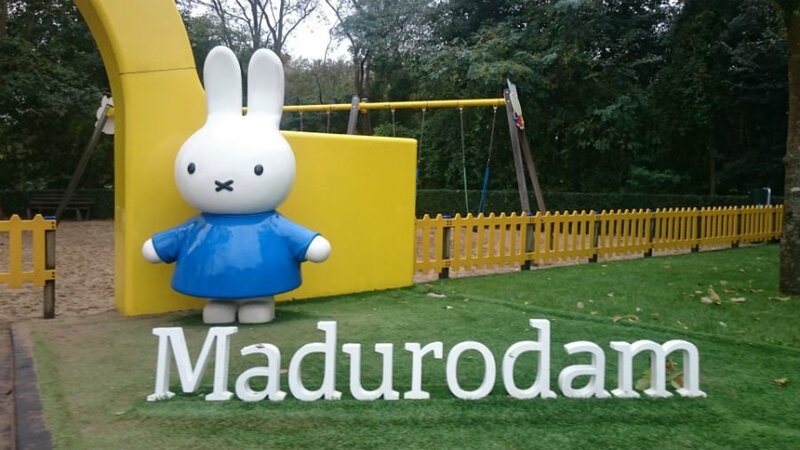 Every year, Madurodam donates between 600 000 – 700 000 Euros to inspiring children’s charities to help them develop self-esteem, empathy and courage. 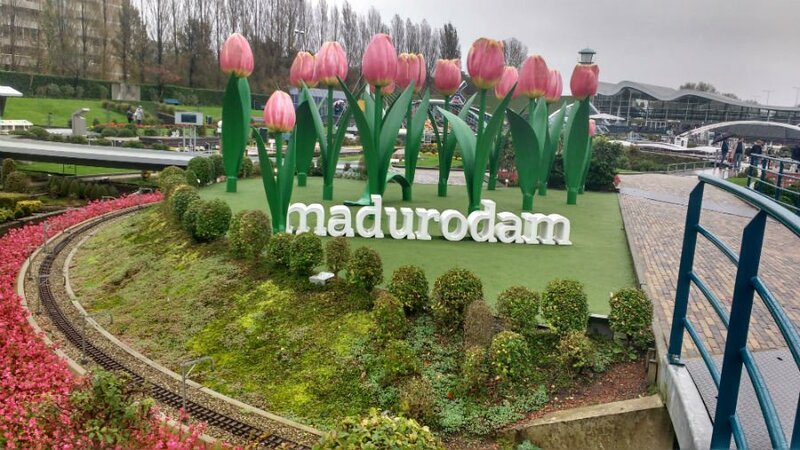 Madurodam is a wonderful family day out if you are on holiday in South Holland. 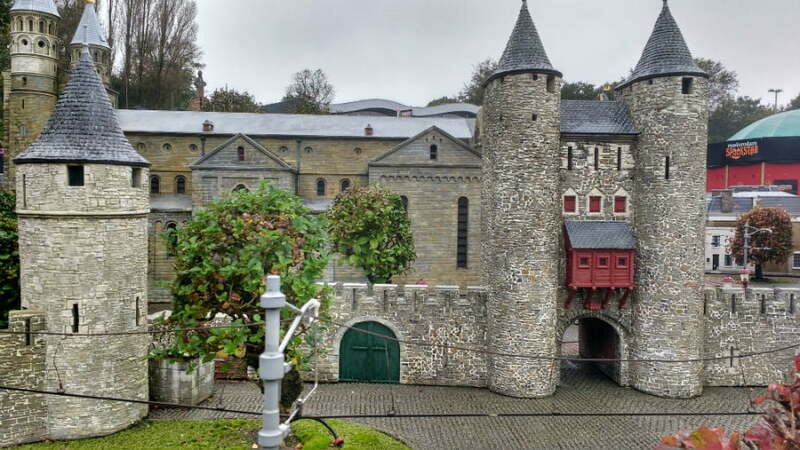 Highly recommended, whatever the weather, time flies at Madurodam as you wander past the various miniature displays looking for things that you recognise, and discovering lots more that you want to go and visit. I have never been to Amsterdam, but after seeing the intricacies of beautiful buildings such as the Rijsmuseum, and Dutch Maritime Museum at Madurodam, it has made me realise that I need to visit this city and see more. There are plenty of highlights for children too, such as being able to peer in the top of the Rijsmuseum and see Rembrant’s famous Nightwatch painting! 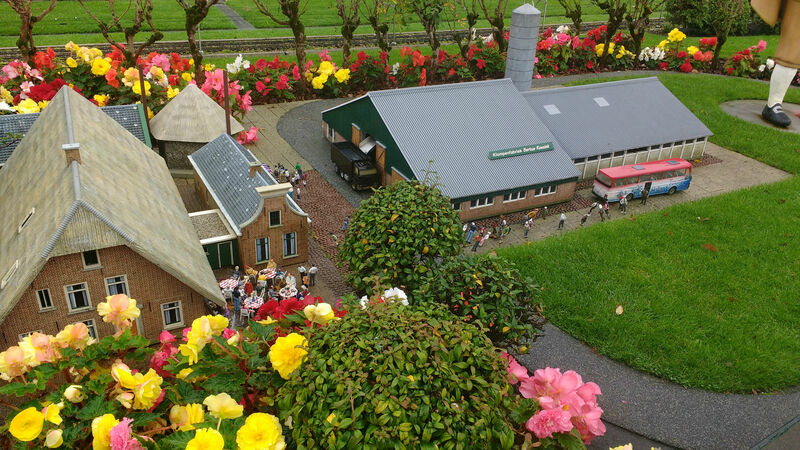 Families can explore Madurodam by following the Family Fun Route. This route includes seeing miniature versions of the Dutch Parliament building, Gouda Cheese Market, Anne Frank Museum, Magna Plaza shopping centre, Peace Palace, Schiphol Airport and Efteling theme park. 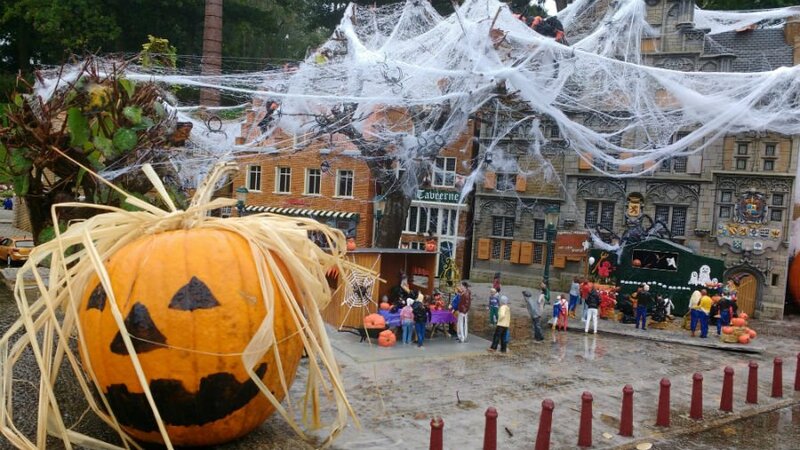 Although they won’t recognise all these attractions, the fact that they are so detailed with little people, cars, and even aeroplanes at the airport, will mean that children will be entranced by them. 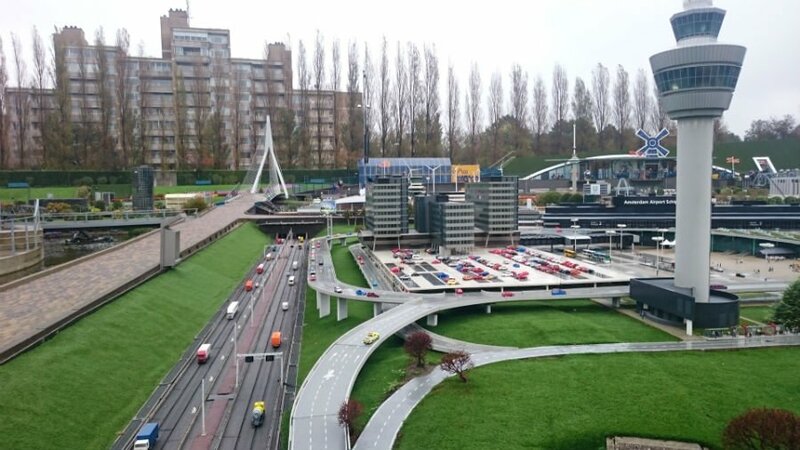 There are so many moving things at Madurodam that there is always something to watch – one of my son’s favourite bits was the motorway with cars and lorries whizzing along it. 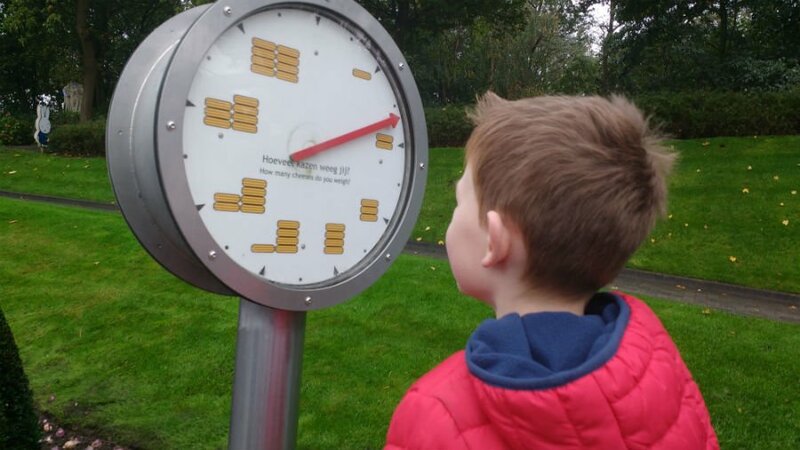 One of the best ways for children to learn is by touching things, and there are plenty of opportunities for children to get involved at Madurodam. Visitors are given an Access Card which can be used at various info points along the way to find out more about the history of the exhibitions you see. The emphasis at Madurodam is very much on education as well as fun. Nieuw Amsterdam is one of 4 indoor attractions which tells the story of the Dutch roots of New York. Who knew that famous attractions such as Broadway, Wall Street and Coney Island were actually derived from Dutch words? Children will love firing canons in this interactive show. 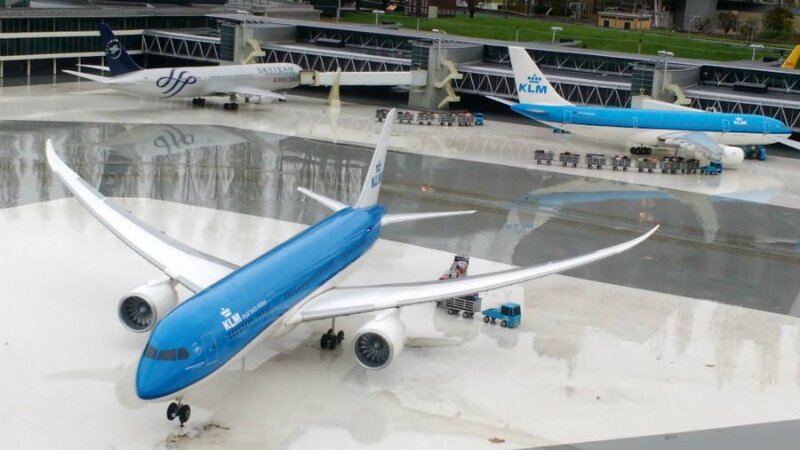 There are also 2 playgrounds at Madurodam. One is Miffy themed, and is perfect for younger children with swings, seesaws, swings etc. The second is aimed at older children. 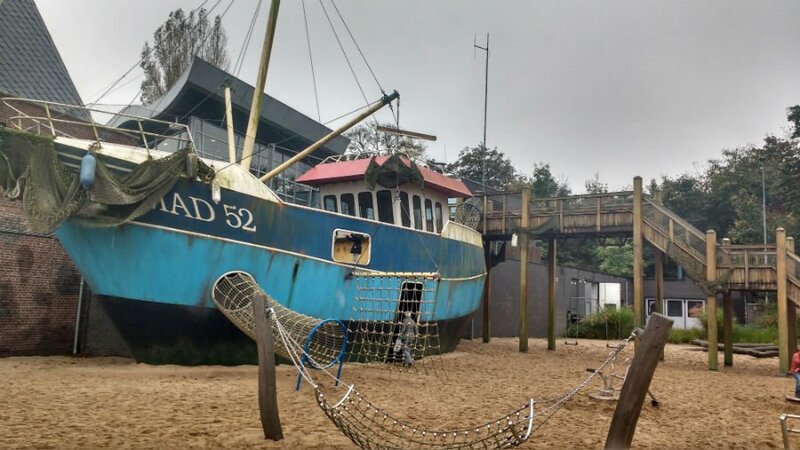 There is a fishing boat to play in, zip wire, swings and digging machines. 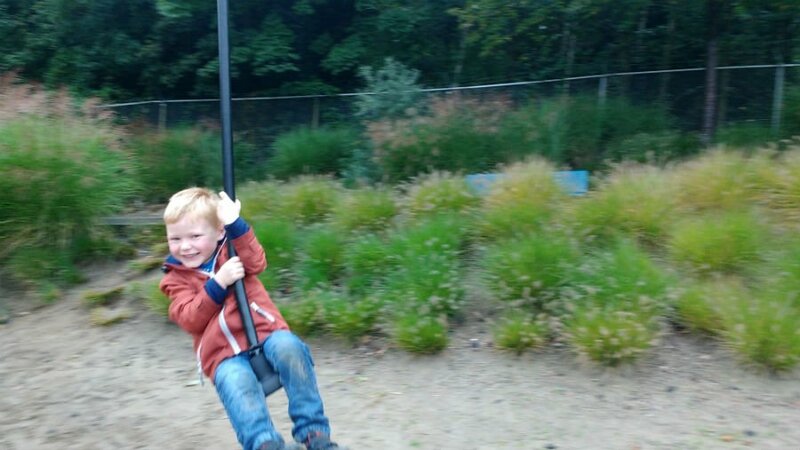 Both playgrounds are sand based and are perfectly located next to the Panorama Café. Train fans will have a field day at Maduodam. There park is the home to 3 train stations (Rotterdam, Utrecht and Groningen Central) with high speed trains, freight trains and an old museum tram whizzing round. It is the ultimate train set! 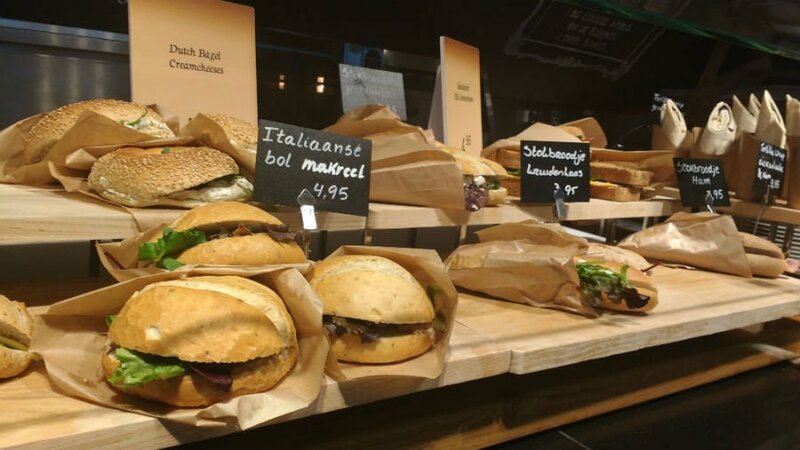 There are 2 cafes at Madurodam serving excellent sandwiches, snacks, coffees and cakes. Children’s lunch boxes are available for 6.50 Euros and contain a wrap, fruit, drink, snack and an ice lolly. We ate in the Taste of Holland café which also had a kids play corner. 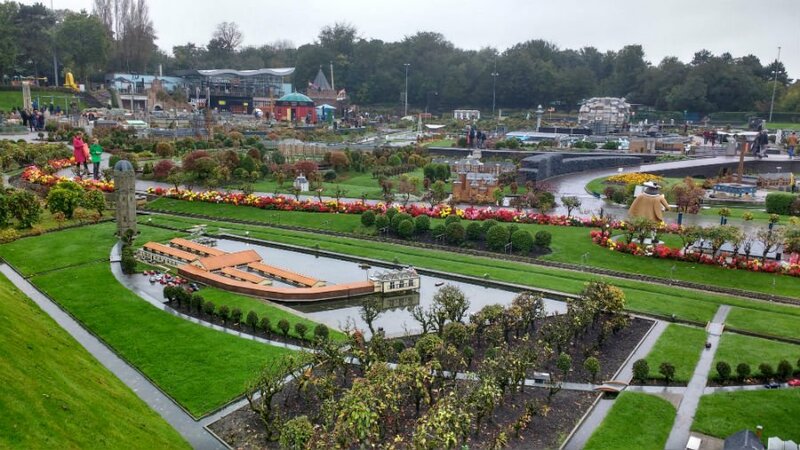 Madurodam is located just 45 minutes from Amsterdam and 25 minutes from Rotterdam. It is also just 10 minutes from the beach at Scheveningen, and 15 minute from Duinrell Holiday Park. The park is completely buggy friendly. Buggies can be hired for 2 Euros a day. There are baby changing facilities as well as family toilets. Tickets cost 14.50 Euros each (if booked online). Tickets are available on the day but cost 17.50. Family tickets (4 people) cost 49.50. Children under 2 are free.